Andrea Palladio was an Italian architect, born on November 30, 1508 in Padua, Venice. Palladio studied mathematics, music and philosophy. He assisted a sculptor in Padua for some time until, at the age of 16, he shifted to nearby city Vicenza. There he was introduced to the art of building and started working in a community of the bricklayers and stonemasons. Palladio was hired as a mason in those workshops and mastered making monuments and decorative sculpture. Turning point of Palladio’s life came when a humanist poet and scholar, Trissino noticed him working as a mason at a construction site and took him along to Rome to study the ancient monuments, and there Palladio started making drawings of ancient buildings. Andrea Palladio worked hard to change the outlook of Rome and proposed different designs for its betterment. He created a series of villas around in the place which happened to re-create the Roman model based on ancient illustrations. The city of Vicenza was renovated altogether according to the design principles proposed by Palladio. He paid the last trip to Rome in 1554 and published a guidebook regarding the exuberant work of art spread throughout Rome from both current time and the ancient past. Very next year Palladio set up an academy with the name Accademia Olimpica for propagation of art and sciences. One important aspect of Palladio’s architecture, quite favorable for his clients, was that he never used expensive material for his buildings. Majorly all his worked comprised of bricks and stucco. Even in his villas, Palladio always used stuccoed bricks, which was also depicted as interpretations of the Roman villa typology. Success of Palladio’s career can be associated with his commissions that he got from the powerful members of Venetian society. Palladio’s work did not only get fame for its beauty but also for his sensitivity towards harmony between buildings and prevailing cultures of their respective times. The aethetics and physical symbolism had always been quite evident in Palladio’s buildings. He knew the art of making his pieces communicate with the social orders, contextual elements and cultural standards of those times. Palladio reinvented the idea of palazzos and improved the urban structures. Through his designs he tried to give a solid impression of social ranking of owners of the buildings. He raised the living spaces on second level, above from the ground and enhanced them with raised platforms, sedimented porticos. Along with residences, villas and city planning Palladio refined the churches as well and proposed new design configurations for them, which were quite modern to that era. Palladio’s architecture always had a strong visual statement, assuring the social norms and cultural statuses. Even though Palladio’s work was confined on a relatively small scale in Italy but still it got its initial international recognition through literature and other influential publications. Initially the acknowledgment of his creations made their way to America and with passage of time spread across the globe. 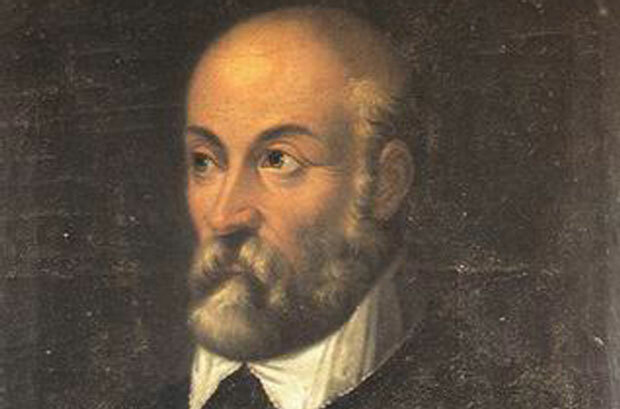 Andrea Palladio died due to some unspecified cause on 19 August 1580 in Vicenza, Italy.